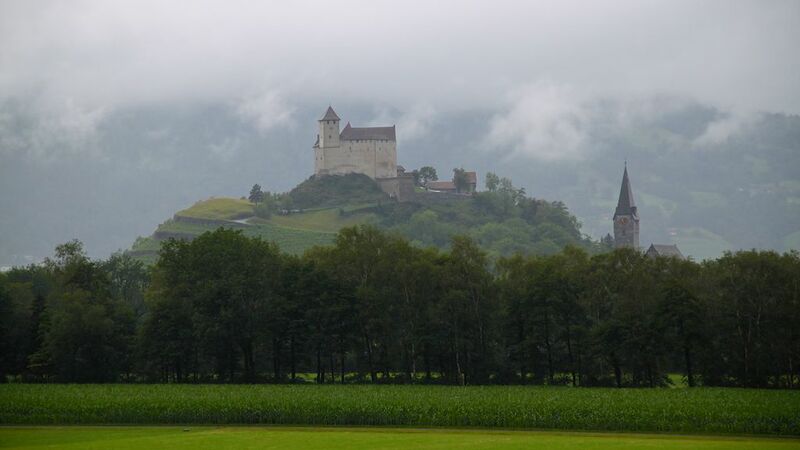 Getting to Liechtenstein in the heart of central Europe is easy by road or rail. Buses provide the best pubic transportation in Vaduz and the rest of the principality. The Principality of Liechtenstein is a small sovereign country nestled between Switzerland and Austria in the heart of the European Alps. The excellent transportation networks of its larger neighbors ensure that Liechtenstein and its capital Vaduz can be reached easily on both public and private transportation. Liechtenstein can be reached by road via fast highways in Switzerland and Austria – note that both countries require a valid highway vignette to use autobahns. There are no cheap flights to Liechtenstein and only partly because the principality has no airport. The closest airport is St Gallen-Altenrhein (ACH) with around three daily scheduled flights to Vienna (and charter flights especially in winter) on People’s Viennaline. For travelers from other destinations, the more realistic options are Bodensee Airport-Friedrichshafen (FDH) in Germany and especially Zurich International (ZRH) in Switzerland. Rail travel to Liechtenstein is via the excellent Swiss and Austrian railway networks. 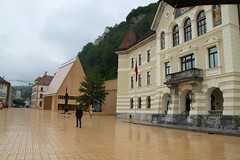 Liechtenstein has only a small railway line – without a stop in Vaduz itself. The closest train stations to Liechtenstein are Feldkirch in Austria or Buchs SG and Sargans in Switzerland as destinations – Liechtenstein’s excellent bus service takes over from these towns. Both Swiss Railways (SBB ) and Austrian Railways (ÖBB) allow stops in Liechtenstein as destinations when searching timetables and buying online tickets. German Railways ( Deutsche Bahn) is probably the best service to check timetables for most of Europe. Regular direct trains are available from Feldkirch to Bregenz (26 or 45 minutes), Lindau (54 minutes), and Innsbruck (2 hours). Direct trains are also available to Vienna, Graz, Stuttgart, Heidelberg, Mainz, Bonn, Cologne (Köln), Düsseldorf, Münster, and Dortmund. From Buchs SG and Sargans direct trains are available to Landquart (10 minutes), Chur (30 minutes), St Gallen (50 minutes), Zurich (1h10), and Basel (2h40). Despite Liechtenstein’s population of only 35,000 the country sports an excellent public bus service with an extensive network and pleasantly low prices. More than a third of the citizens have an annual bus pass while around a third of the population uses the bus each day. On major national vacation days up to 35,000 people use the bus. The greenish-yellow, low-emission buses of Liemobil literally goes everywhere a tourist would want to go including Feldkirch, Sarganz, and Buchs to connect with trains in Austria and Switzerland. Ticket prices start at CHF 2 while a two-zone day ticket at CHF 7 is excellent value for money. Liechtenstein has a minor railway line connection Buchs in Switzerland with Feldkirch in Austria via a loop through Liechtenstein. The capital Vaduz is not directly on this link – use the stop Schaan-Vaduz. The bus system is generally much more convenient. Car hire should be low on the priority list but Avis, Europcar, and Sixt have car rental offices in different towns in Liechtenstein. 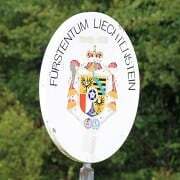 Liechtenstein has been in a customs union with Switzerland since 1924. As a result, the Swiss Franc (CHF) is the official currency and no border controls exist with Switzerland. Customs checks are rare but possible when crossing into Austria. 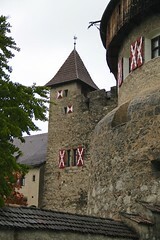 As Liechtenstein has no immigration controls, travelers can only get an official Liechtenstein stamp in passports by visiting any local Liechtenstein tourist information office. Liechtenstein’s investment in this souvenir service was absolutely brilliant. Annually more than 40,000 visitors fork over CHF5 each for such stamps – returns on investment seldom come higher. Once in Liechtenstein, visitors will find the country small – which is one of the major attractions – but with many sights worth exploring. Cheap shopping is possible at the Landquart Designer Outlet mall with factory stores only a few minutes drive (or a fast train ride) to the south of Liechtenstein.